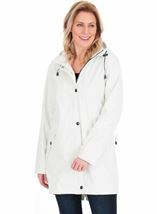 A must have waterproof Anna Rose coat, perfect for the warmer seasons as this coat is crafted in a lightweight grey and white floral print. 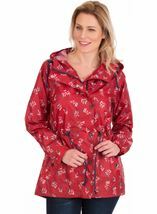 Fully lined with zip and stud fastenings, front pockets and a hood with draw cord. Back length 80cms.